General tourist information about Ljubljana. 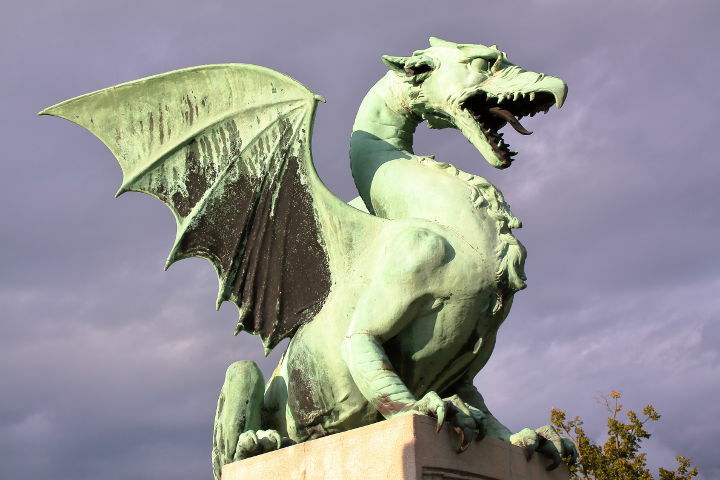 Read advices and the tips about the things to do, restaurants, shopping options and hotels in Ljubljana. 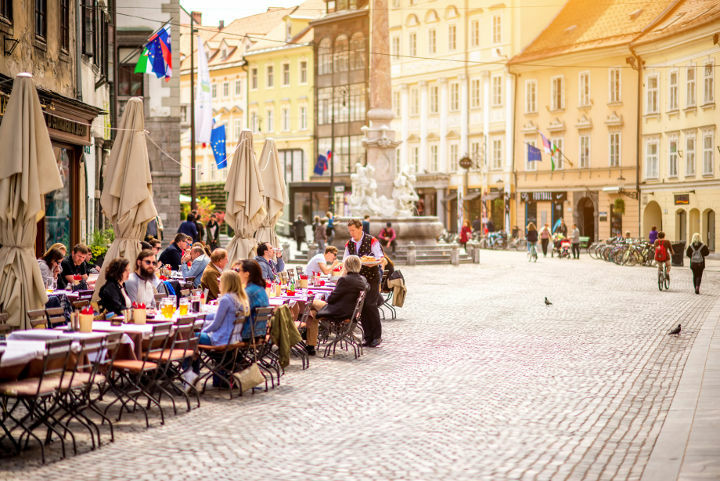 Located between Adriatic Sea and the Alps, Ljubljana boasts with its privileged location, natural beauties and favorable climate compared to Slovenia's. In addition, fertile lands produces wide ranging of fresh vegetables and fruits which makes us understand that Ljubljana is backed by the nature. 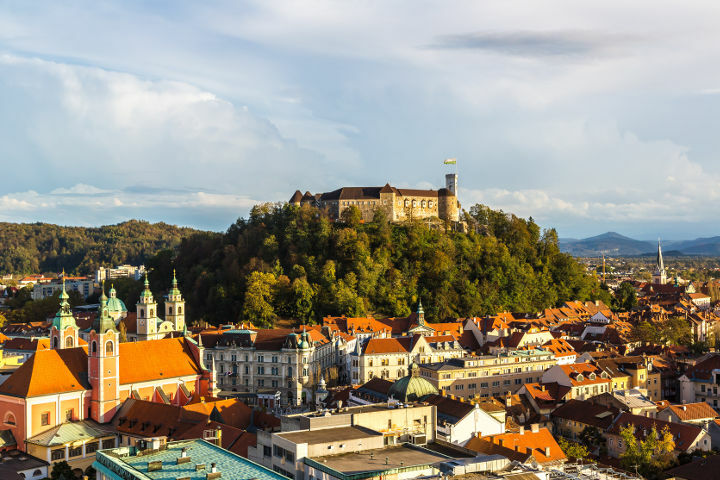 At first sight of Ljubljana, you will be impressed by the fountains, monuments and the fabulous buildings of Baroque and Art Nouveau architecture. The historical and cultural richness of the city is highly preserved which creates an inspiring environment in Ljubljana. Being a popular university city in Europe, young population dominates and an active and social life takes you in. Bicycle and ginger are the most popular vehicles and do not get surprised when you see young women riding bicycles with their miniskirts and high heels. Joyful people of Ljubljana, fascinating natural beauties, picturesque streets, cultural and historic richness, favorable weather and the charming atmosphere of the city will shower you with blessing and make you never forget this alluring city of Slovenia. Located by the Ljubljana River, Triple Bridge is an iconic landmark of the city that consists of three bridges. These bridges are the productions of a graceful architectural style and offer a fascinating view of Ljubljana River. You can cross to open air market, old town and Prešeren Square by using these bridges. The Ljubljana Castle has been standing intrepidly for centuries. Being the most significant architectural symbol of the city, the castle promises a stunning view of the whole city as well as Sava River and Kamnik Alps. One of the most outstanding buildings in Ljubljana, the walls of this cathedral is full of Baroque style frescos and priceless pictures. The interior decoration was made by famous artists of the era. With its twin towers and green dome, the cathedral is one of the places that you may want to place in your Ljubljana photos. Exhibiting 20th century Slovenian art, Museum of Modern Art has a collection of over 2000 pieces from electronic media to sculptures and drawings. If you are interested in modern art and you think that experiencing the city’s post war periods would be remarkable, a visit to this museum will add so much to your trip. This museum is situated in a palace that is built in Neo Renaissance architectural style. In this museum you will have the opportunity to see pre historic archeological remains and the only Egyptian mummy in Slovenia. If you are into luxury shopping, you can go to the shopping malls Rudnik, BTC and Nama. In these places you can find local and international brands’ stores that will meet whatever you need in terms of luxury shopping. 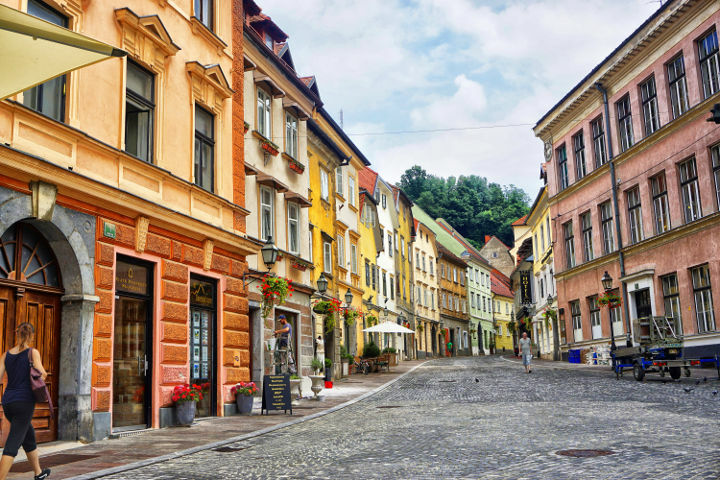 If you have nothing to do with luxury shopping but you are looking for more authentic and local products that you can buy as souvenirs, you may find what you want in old town, especially in Mestni, Gornji and Stari Streets. In central market, set in old town, you can find fresh vegetables and fruits as well as traditional textile products and handcrafts. In Montmarte market, that is famous for its wide ranging products and reasonable prices, you can find many options as souvenirs, jewelry and unique hand crafts. Located 25 km away from the city center, Skofja Loka is a little historic town that exhibits the fascinating architecture of middle ages. To discover the Slovenian rural life and to experience time travelling to this era, this trip will add so much to your Ljubljana trip. Lake Bled is one of the most attractive landmark in Slovenia and located at the entrance of Triglay National Park, 55 kilometers away from Ljubljana's city center. This lake is a 14000 years old glacial lake surrounded by Julian Alps and with its magical turquoise color. There are many activities that you can enjoy around this area. 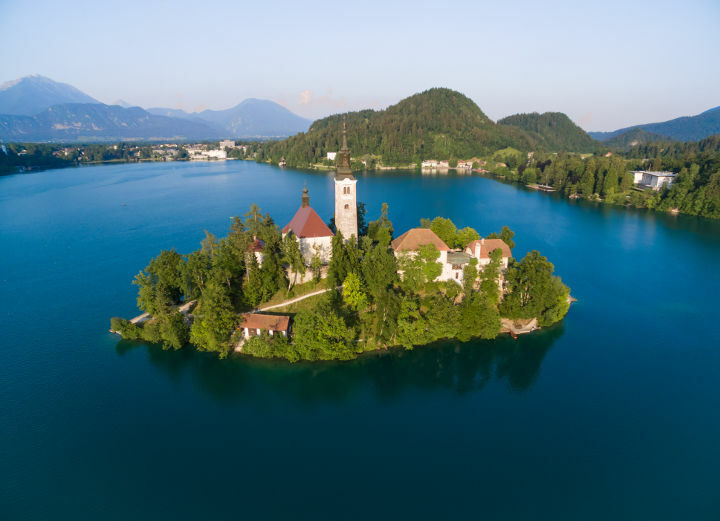 In addition, if you take the chance of climbing for 15 minutes, you can visit the famous Bled Castle and the church on the tiny island in the lake. Ljubljana is a safe city. However, you may want to avoid being in Štepanjsko, Tivoli Park, Rakova Jelša, Fuzine, Šentvid, Moste and Šiška at nights.